You are trying to display "+.1212121212". What result are you getting on the display? // "10" from the lookup table indicates to blank the tube since it is out of range. I have no idea why this does not work. From what I can tell, I should be shifting in 128 bits, each assigned to the proper register and pin from my physical board layout. There has to be some sort of fundamental mistake I'm not seeing. Put the "digitalWrite(PIN_CLK, LOW);" BEFORE the "digitalWrite(PIN_CLK, HIGH);"
I would take out the "delayMicroseconds(5);" calls. You have two variables named srBuffer and the first one (line 67) is not used. Take out that line. The "digitalWrite(PIN_LE, HIGH);" at the end of BlankDisplay() is missing. Please put it back in. Hi guys. Finally, after a lot of sweat and frustration, I've developed a robust code to drive my display. It deals with decimal numbers as well. 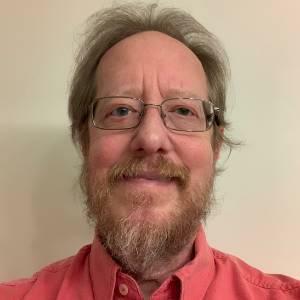 Essentially, it takes a char array input from the serial port and creates the appropriate 128 bit boolean array which is then clocked out to the 4 HV chips. It was a bit challenging (no pun intended) to deal with decimal numbers, but nevertheless it works! The code is quite long so I'll upload it in a separate message. Lots of it is just bit mapping, but I tried to make it as clear as possible for the sake of my own understanding. Hopefully this will also be useful to someone else one day. See the attached .ino if you are interested; code exceeded post character length (again, not pretty but it works well). That's pretty Cool I've always loved Nixie tubes. Thanks again John. I like the streamlined approach. I'll give this a try over the weekend (when I'm home from work travel) and see how it cleans things up. It was a huge learning experience to design a board from scratch and make it all happen the way I envisioned. A humbling experience, and it really makes you appreciate the level of technology we take for granted in today's world. I'm looking to make my work bigger and better all the time now! I must say, the the display looks really cool in the video. I've seen NIMO tubes on Fran Blanche's "FranLab" YouTube channel. 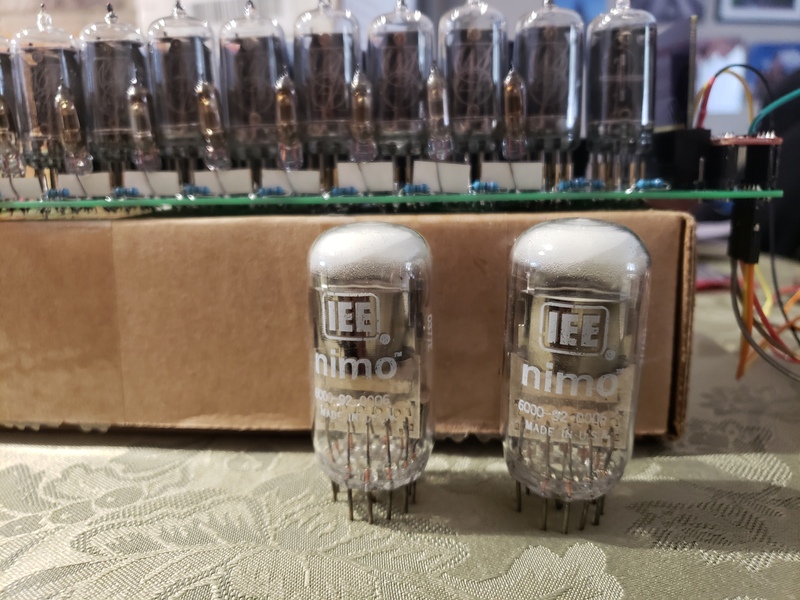 NIMO Tube Shootout! + X-Rays?? Look what came in the mail today! I think this will be the first arduino controlled Nimo tube project. Just tried your changes John, they work great and clean things up a bit!